"We went through it 3 years ago"
Motorola has empathy for rival Nokia as it goes through a tough decision process on which operating system will best serve the company. Motorola Mobility's Andy Hooper – the director for European & MEA converged experiences – believes that Nokia is going through a similar pain as Motorola did a short time ago. Nokia's decisions on Symbian's changing role and a high-profile tie-up with Microsoft's Windows Phone 7 suggests a major rethink has gone on. Hooper draws obvious parallels with Motorola – whose Razr phone was a big part in widespread success but who then let market share slip through its fingers. "To some degree we look at what's happening with Nokia and we did that on a smaller scale three years ago," Hooper told TechRadar. "We had to make that tough decision; 'what are the platforms on which we are going to build the business?' And the decision was made to focus on Android. "That [decision] takes time to pass through the development process, and then bringing devices to market and, of course, getting the products right takes time. "We feel this year CES really showed we are absolutely back in the game in bringing compelling user experience to the market." 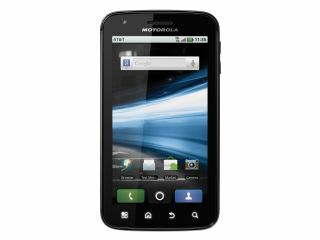 Motorola's 2011 raft of devices has certainly caught the eye, with TechRadar's Motorola Atrix review awarding the smartphone four stars, the same score as given in the Motorola Xoom review which represents Moto's efforts in the tablet market.